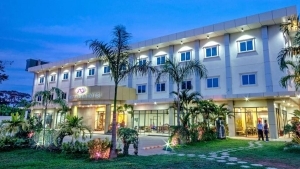 The Puerto Princesa Airport is just over 1 kilometer from the classic four-star Munting Paraiso hotel. 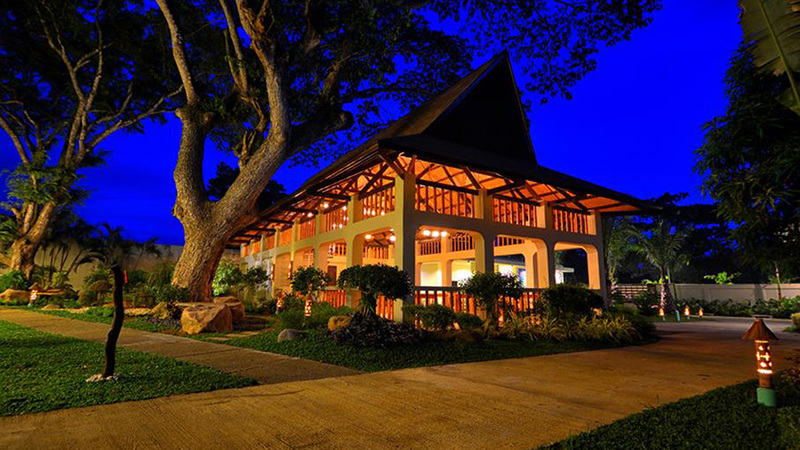 This hotel stands out among the crowd because it has beautifully designed bungalows instead of rooms. 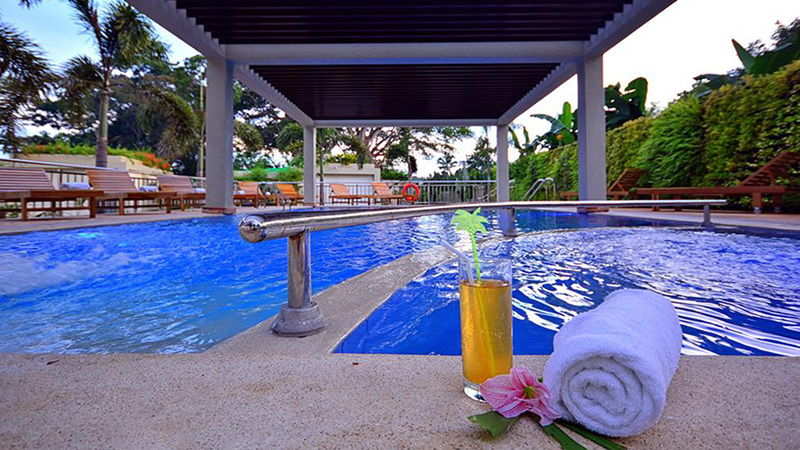 For those who want mid-range but spacious accommodation in Puerto Princesa, the Munting Paraiso is the best choice. If one’s dream holiday consists of pristine beaches, warm sea water, marine sports, spacious accommodation, plenty of swimming, and sunbathing; then the Munting Paraiso should be the first choice. 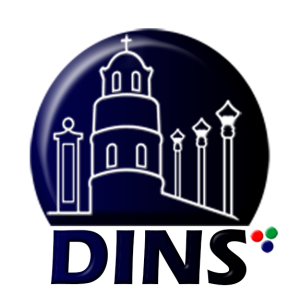 The accommodation is classy and comfortable and the staff are friendly and helpful. 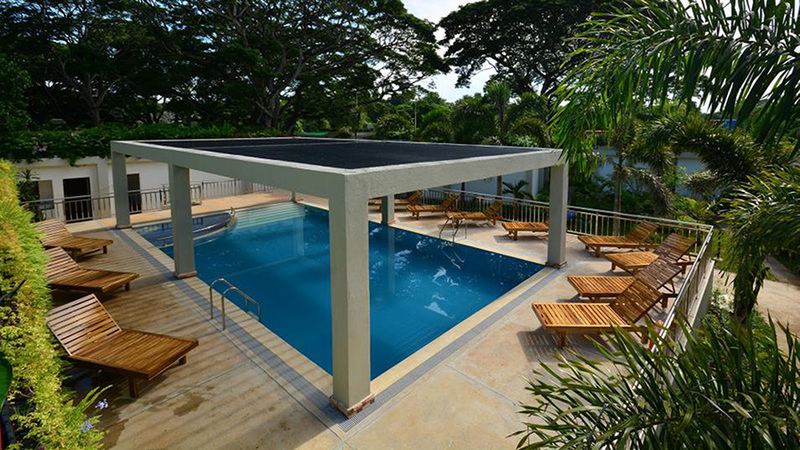 The Hotel boasts of many amenities, including a very large, well-maintained swimming pool. The NCCC Mall is not too far away. The Hotel is situated in a central shopping zone but is not too far from the seaside. 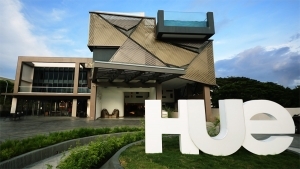 It is within easy reach of the Honda Bay which is a popular tourist attraction. The large swimming pool is a fitting complement for the sparkling sea water nearby. This Hotel provides a lot of amenities for their guests and the staff is ever ready to provide the best service. It is little wonder that the Hotel is the favorite choice of tourists from across the globe. 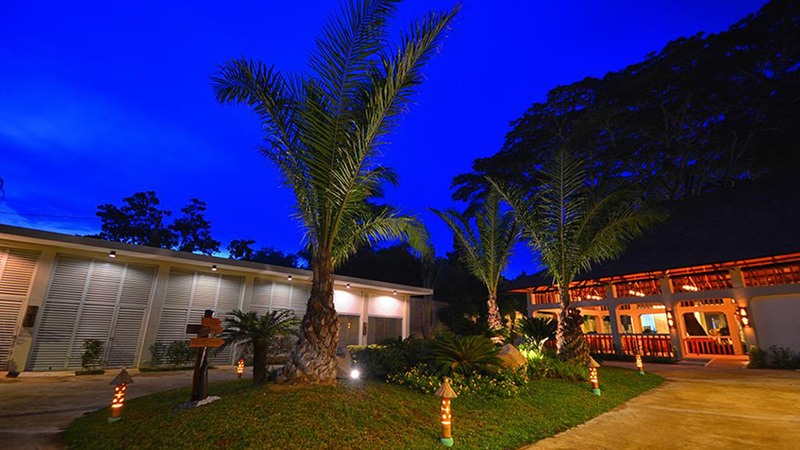 Spacious bungalows are the characteristic accommodation available at this Hotel. 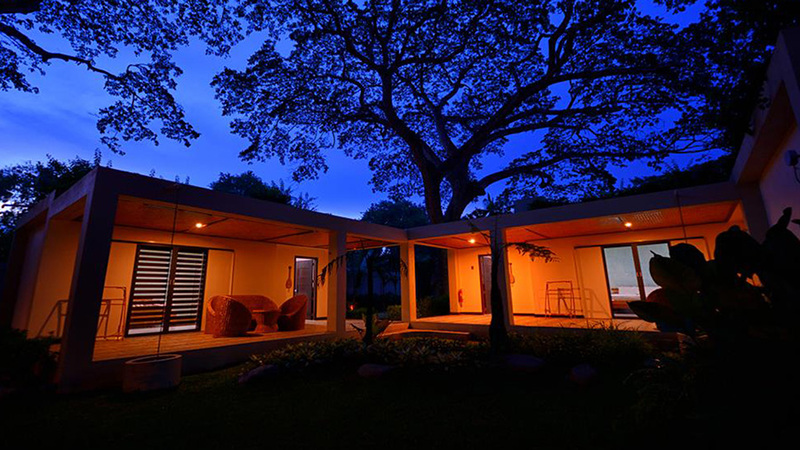 Guests can choose from the Studio Bungalow or the Superior Bungalow. All the spotlessly-clean rooms face the beautifully landscaped gardens to provide the guests maximum privacy. 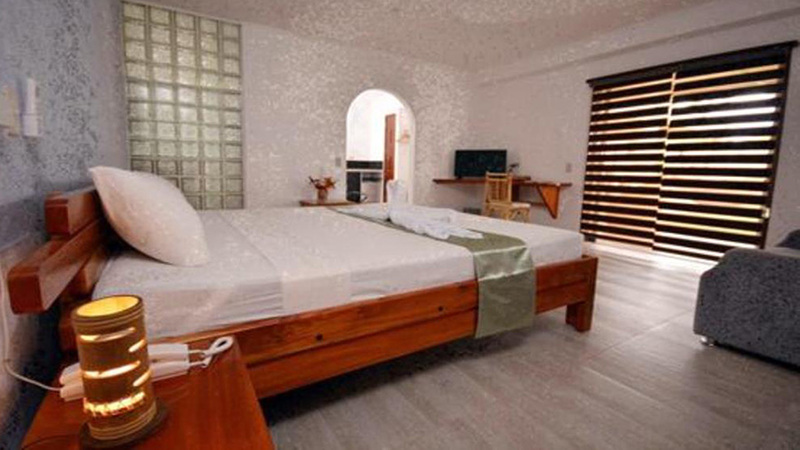 The king-size beds in all the bungalows redefine the meaning of comfort, luxury and ambience. 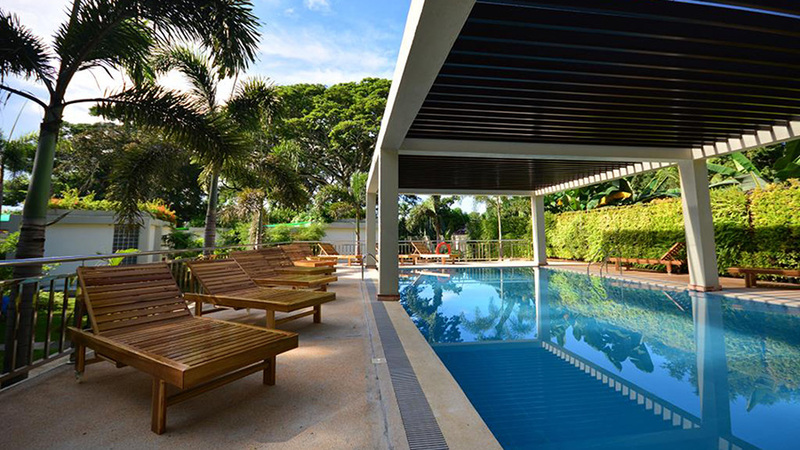 Guests can enjoy a lot of amenities besides the swimming pool. Despite so many advantages, the room tariffs are very affordable and range from $51 to $60. Besides the usual amenities like LCD television, toiletries, mini bar, telephones, etc. the room bookings come with other awesome benefits too. Free and instant service of tea or coffee is a part of the Filipino hospitality. The Laundromat and housekeeping are available for the guests 24×7. Including the concierge, reception and in-room dining, the ever-helpful staff are known for their smiling countenance and efficient service. Those who wish to visit the Crocodile Farm or Snake Island, the Hotel will arrange comfortable, air-conditioned taxicabs within a few minutes. For adventurous guests who would like to indulge in marine sports, the Hotel can arrange for quick transport to the jetties. And when guests just want to sunbathe and enjoy a relaxing holiday the Sohol Bay is within walking distance from the Hotel. The sun, sea air, Filipino cuisine, and luxurious accommodation will leave lasting memories of a wonderful holiday. The seaside of Puerto Princesa is a bounty of nature that people should never miss seeing. So what are you waiting for? 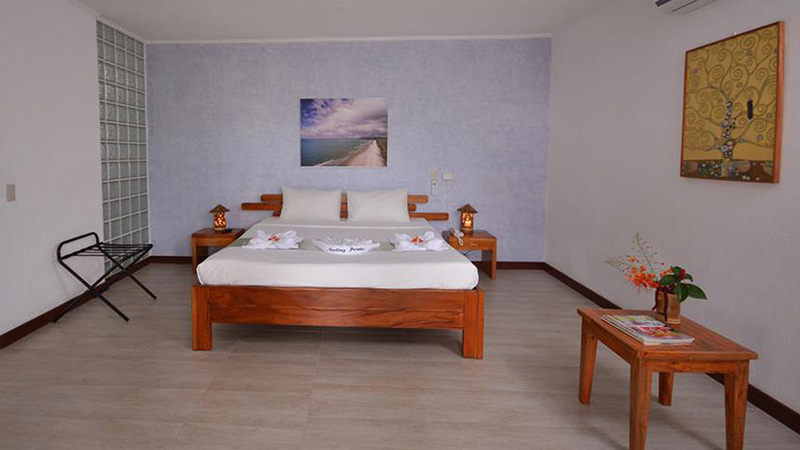 Just book a bungalow at the Munting Paraiso and pamper yourself with a memorable beachside holiday.